It might just be me, but I don’t like brown sugar substitutes. I’ve tried. I really have, but they have a weird aftertaste. 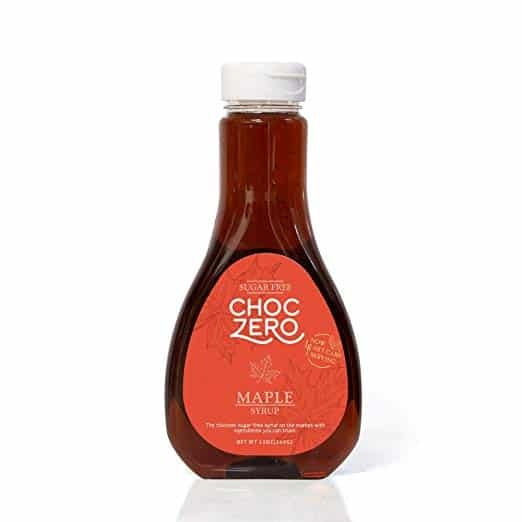 A great alternative I’ve found is to use ChocZero Maple Syrup instead. There are a few others out there that I’m sure are just as good, but oh, good sweet Lord I love this stuff! I’ve started using it as a Brown sugar substitute, and it seems to work well in most instances. The changes, in my humble opinion, took it to the next level. 1 1/2 bags (roughly 6 cups) of unsweetened flaked coconut flakes. Place the butter in a heavy-bottom saucepan and cook it low and slow. Depending on how much milk solids are in there, it’ll look foamy at first. My butter took about fifteen minutes or so, but every stove is different. Once the butter is nice and dark brown carefully pour it into a 2-cup Pyrex measuring cup. Stir and let the butter set there for a minute or two until it cools down. Then carefully pour enough water to bring the liquid up to a cup and a half. Please, please, please be careful with this step. The butter will bubble up and boil over if it’s too hot. Stir the water and butter together and place it in the fridge until it solidifies. Once that’s done, preheat the oven to 350. Combine all the ingredients in a large bowl. 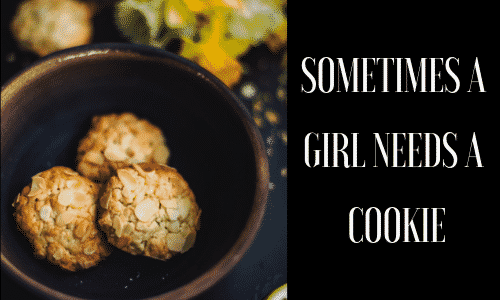 Ball the dough into golf ball size and then place them on a parchment lined cookie sheet and pat them down until they are shaped like a cookie (these don’t spread). Bake for 12-15 minutes, and give them time to cool before taking them off the sheet otherwise, they’ll fall apart. I had someone ask if they could freeze them. Honestly, I’m not sure, but if it were me, I’d freeze the dough already balled up and just take them out a few at a time. If anyone tries it, let me know how it goes! 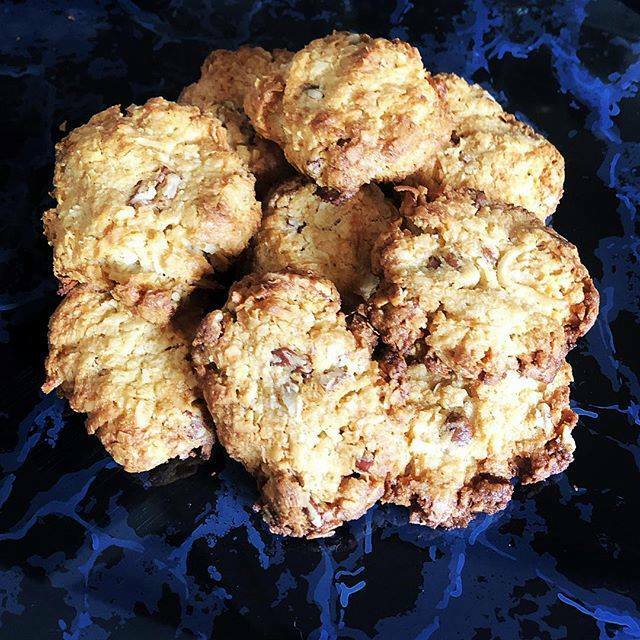 Since everyone seems to love the recipe posts, I’m trying to do at least once a month. That’s the plan, anyway.